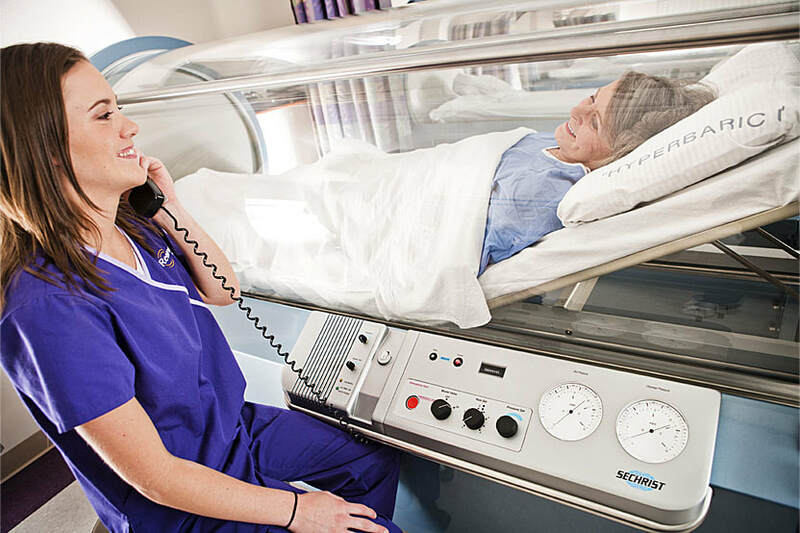 Hyperbaric Oxygen Therapy (HBOT) is an AMA and FDA approved medical treatment where a patient inhales 100% oxygen under pressure to speed and enhance the body's natural ability to heal. ​Common uses include treatment of non-healing wounds, complications from radiation therapy, and others. HBOT enhances the formation of new blood capillaries (by making more collagen)—by carrying more oxygen to areas that may not be getting enough oxygen. HBOT also reduces swelling of inflamed tissue and will fight wound infections. Higher oxygen levels enhance white blood cells to kill harmful bacteria and viruses. HBOT will kill many harmful anaerobic microbes directly. HBOT will enhance the effect of certain antibiotics. Overall, there is an immune system strengthening effect. Thus, HBOT can speed healing, promote tissue detoxification, and increase available energy. We are the first Hyperbaric Oxygen Therapy center in Northern Nevada. 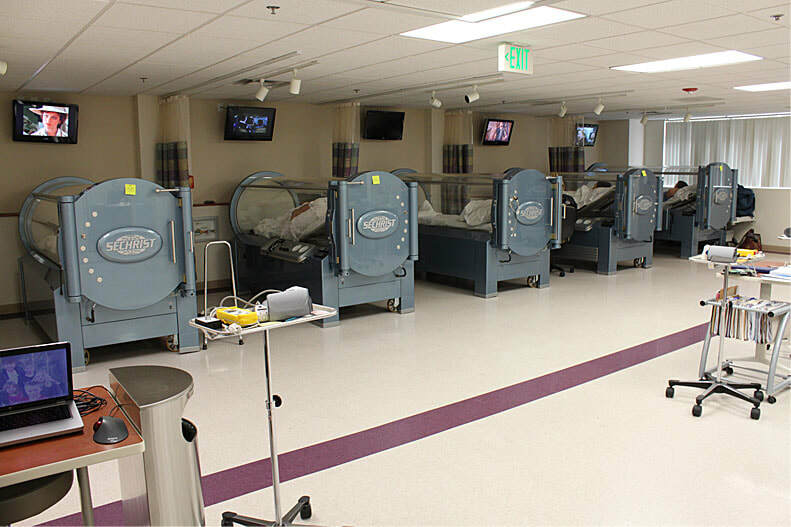 Northern Nevada Hyperbarics is a regional leader with 17 years of experience in treating patients with successful outcomes and operates in partnership with Renown Hyperbaric Oxygen Therapy. 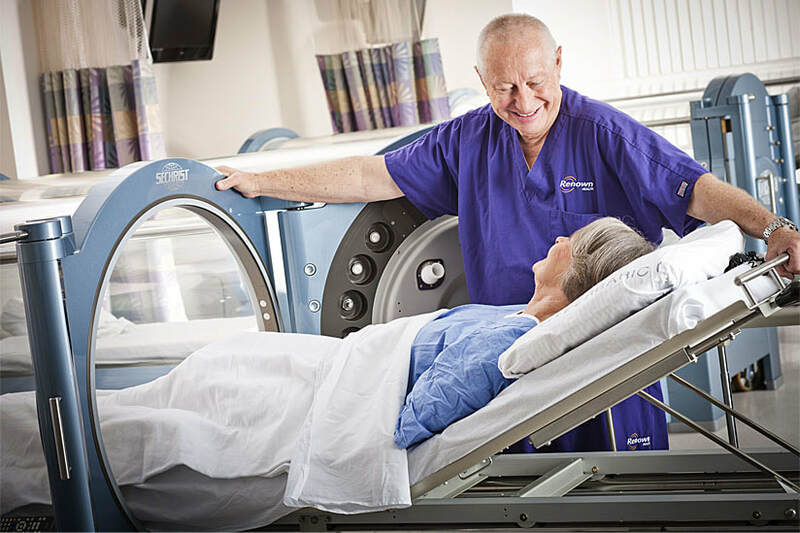 Our dedicated medical staff includes hyperbaric technologists and physicians certified in hyperbaric oxygen therapy. Let our caring medical professionals assist you with your healing.